Cosmetic nose surgery can consist of many different types of procedures which are designed to improve the look of the nasal structure, as well as balance the overall proportion of the face. Unlike plastic surgery, cosmetic applications for nose surgery do not make functional improvements. Instead, they focus purely on beautifying the individual and resolving body image issues which are caused by actual or perceived troublesome aesthetic concerns. Although cosmetic surgery is not generally covered by health insurance, the investment is always a good one, since a successful operation can enact hugely positive effects on the mind, body and spirit of every patient. Rhinoplasty, also called a nose job, is the most common and popular nasal operation. This technique will provide nasal resculpting to optimize the size and shape of the nose, making it an ideal match for the face. Skin treatments can help fix surface issues with the nose, including blood vessel conditions, skin pigmentation issues and skin texture concerns. Nasal implants can reinforce the tip or bridge of the nose in patients with diminutive or damaged structures. Nasal implants on the bridge of the nose are one of the more popular facial procedures in Asian patients. Although the nose is a small part of our anatomy, it can truly help make or break the overall attractiveness of the face. Minor size and shape issues can cause big problems for a person who hates the way their nose makes them look. The psychological aspects of cosmetic surgery are always the most important benefits of successful aesthetic operations, since once the body has been molded to satisfy the internal self, then the mind and spirit are elevated to higher levels of personal satisfaction. This change in the perception of the self is crucial for success in all aspects of life. It is for this reason that cosmetic surgeons take great pride in the fact that they alone heal the mind and body equally during their daily work. No matter what your nose complaint may be, there are proven methods of resolving the problem. Plastic surgeons have trained extensively to understand the physical and emotional aspects of nose concerns and are experts in fixing size, shape, function and proportion considerations, using the latest and most effectual procedures. Investing in oneself is always worthwhile, since if the mind is happy with the body, the individual is empowered to achieve all they set out to take on. However, if the mind is held back, due to a lack of confidence and self worth, the individual is greatly limited in what they can expect to achieve in life. Satisfy the mind and empower the self. 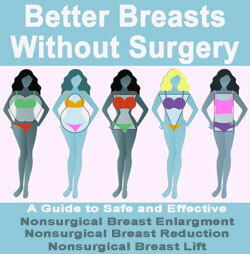 It is one of the basic creeds of cosmetic surgery and is always good advice, when used with reason and common sense.